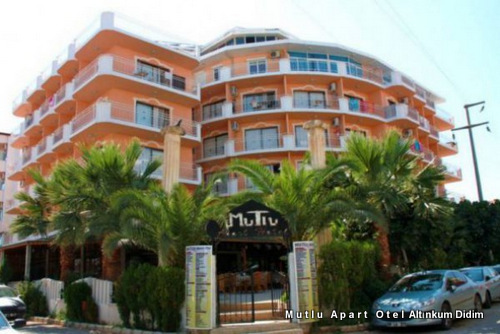 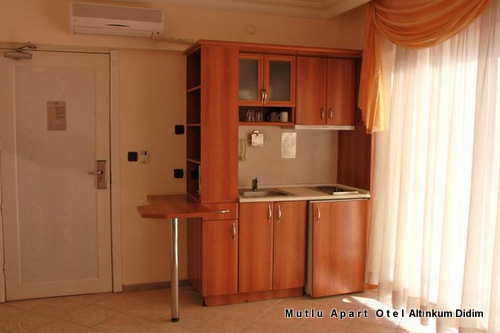 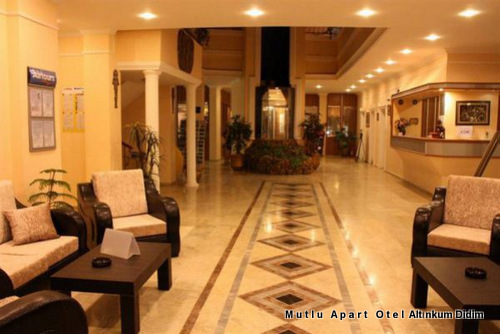 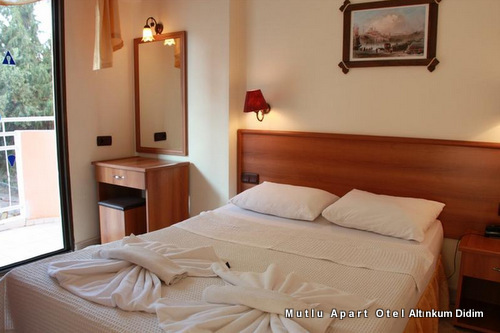 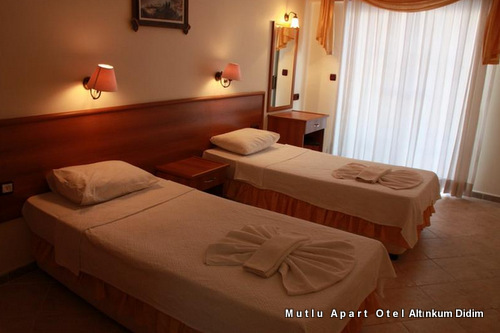 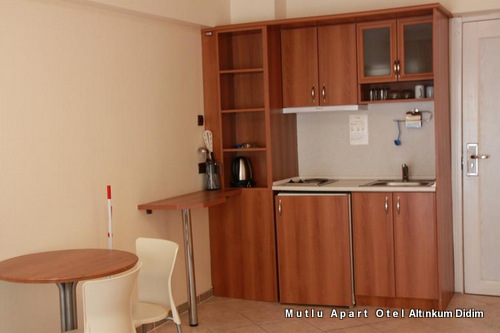 Mutlu Apartments is in the resort centre and is 150 metres from the Altinkum beach. 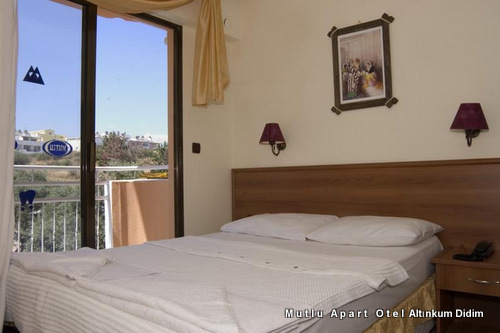 The apartments sleep 2-4 people; comprise of a bedroom, a living room with two sofa beds and a kitchenette, a bathroom with shower and wc, and a balcony. 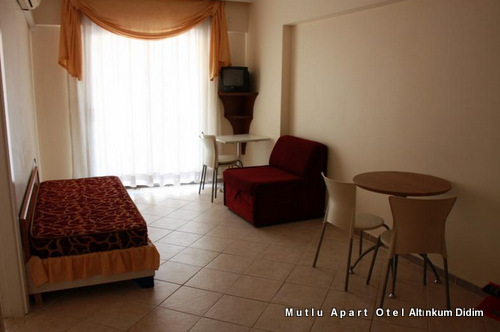 All the apartments have ac and satellite tv (both payable locally). 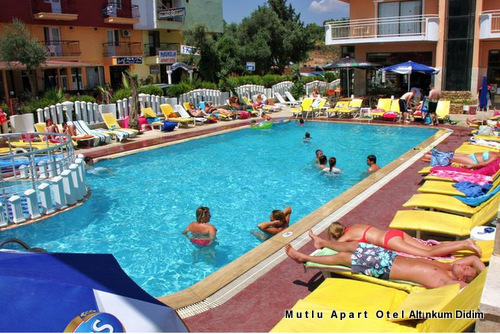 There are two panoromic lifts; one at the pool area and one inside. 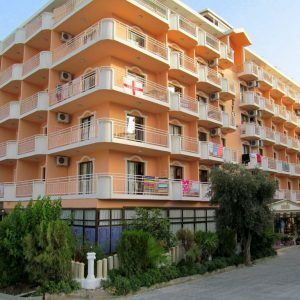 The accommodation holds a pool with a separate children’s section; a market for the guests to supply their needs during their stay; a restaurant serving a la carte menu renown for its quality and moderate prices. 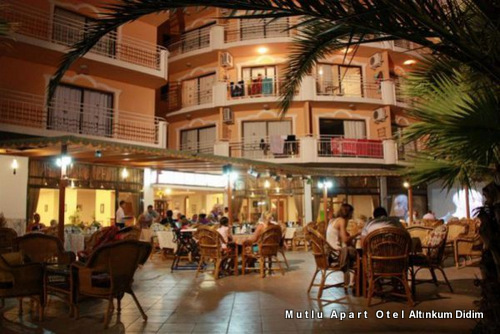 With the pool bar, open 24 hours and the garden bar, int.cafe, wireless, Wii-Fii… in a relaxed atmosphere the accommodation offers you alternative places to enjoy your holiday. 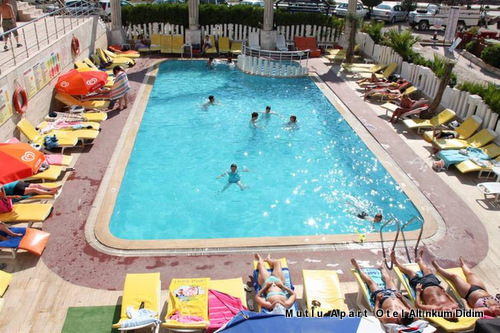 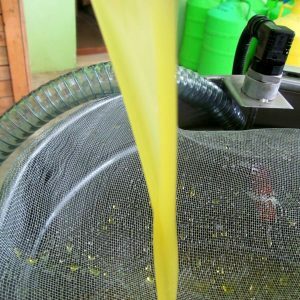 There are different activities on every day and night of the week, both for children and adults. 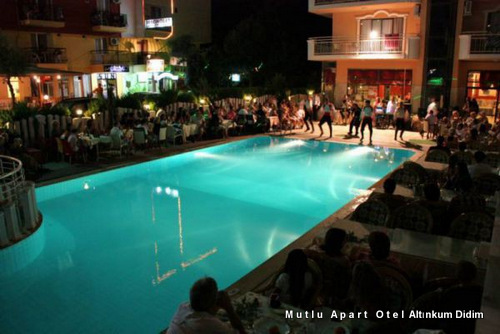 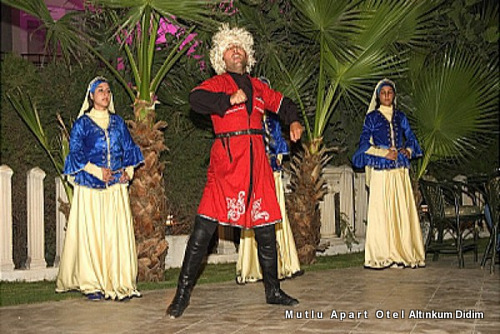 Among these activities; The Turkish Night, Barbecue and The Pool Tournament are the highlights which have become a tradition for so many years. 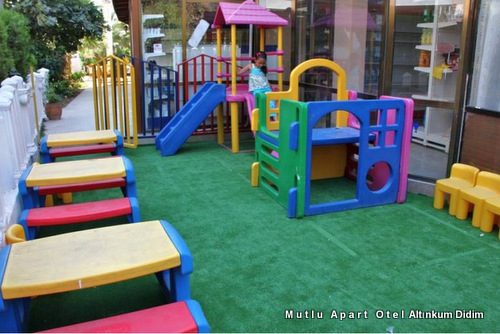 In addition, the fame city entertains the adults as well as the children. 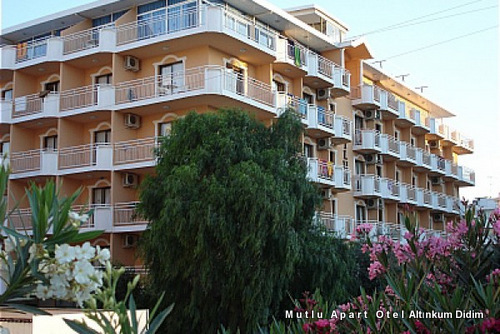 Mutlu Apartments, because of both its location and facilities as well as its quality, is exceptionally popular with families.